We were in Pune from the 8th till the 14th. Yes, we timed it in such a way that we could be in Pune to celebrate Geetu’s birthday. The eating binge started on the 8th evening … With Geetu’s birthday cake and those delicious cute cupcakes that Dinky had ordered. Don’t know the name of the bakery … But can get you the details if needed. Then the VadaPav trip started …. I have happy news to share. I ate so many Vadapavs and from many different vendors that I am cured of my Vadapav fetish. The last Vadapav we ate was at this outlet called Shri Vadapav, at Khed Shivapur, on the way from Pune to Dharwar on the 15th. I doubt if I will ever eat another Vadapav again :):). Geetu and Usha Akka made the most awesome Sabudana Khichadi. I can never get over Sabudana Khichadi, and since it was home cooked, it did not leave any undesirable impact. On 10th, we showed up at Clarion Technologies hoping to take the team out for lunch … Some were not in that day and it ended up being Kapil Godani’s treat for the two of us. Well, Kapil took us to Mayur at the Seasons Mall and I couldn’t eat anything for the rest of the day. The food is finger-licking and truly delicious but you will overeat and then feel like the Python that ate a horse… All you can do is to sleep and wait for the food to get digested. Our stomachs had no such luck, since the very next day we ended up at another Mayur outlet since Geetu was unwell and Dinky had to be treated to good food :):):). But we were atleast wiser, and infact I returned a couple of bowls without taking the vegetable or curry. I was also very watchful of how much they served and was able to eat just enough and not overeat. Well, no trip to Pune is complete without having a meal at Sujata Mastani. I know, I know, it’s an ice cream parlour, but ice cream can be a meal for Krishnan and he had a mini meal at one of their outlets. So this particular item may not interest a non-dog-food lover :):) – there is a food item called “butter”, and it’s not the English word “butter” and it doesn’t have any butter in it. This is round and the texture is like a “rusk” or toasted bread and it’s eaten with tea. I love these since my childhood and dad had tried really hard to wean me away but unsuccessfully. Geetu’s first attempt ended up in getting me the sophisticated jeera “butter” – not as much fun. Dinky pointed out another bakery and they had the right one. Yes am grinning as I write this because I have half a packet left still to relish at peace. 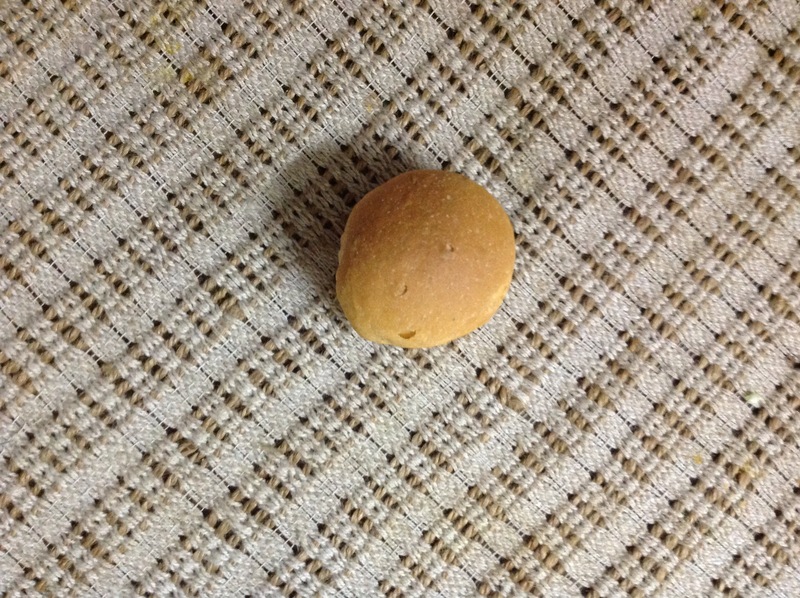 In Tamil this is called “Nai Porai” which is basically dog biscuit !! These Tamilians just don’t know the taste of a good thing like “butter”. Geetu made up for the wrong “butter” by introducing me to “brun” .. Actually the “brun” story started as a bun-maska trip but we ended up getting “brun” and making tea at home. After some complaints about how I was scrimping on the quantity of butter (Amul) being put in the “brun” everyone got their proper dollops of butter and it was an evening well spent. 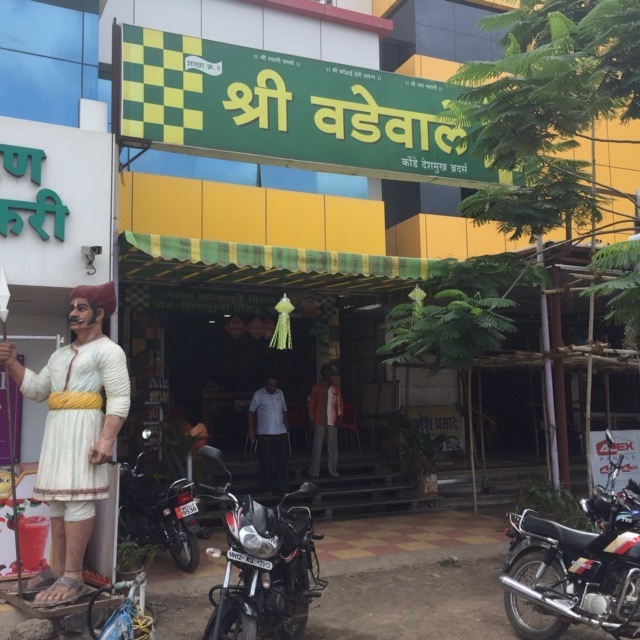 A trip to Kalyan Bhel was ticked off too and we ate happily since we had walked all the way to the store from Geetu’s house. So we had worked for it. Subbu, I got the Chitale Bandhu “Bhakarwadi”. Just FYI for you and others, they have recently launched a “khasta Kachori” which is even more tastier than the Bhakarwadi. So everyone, please try the Kachori at your nearest Chitale Bandhu outlet. Missed the “dabeli” this time. Couldn’t find Manuj Modi at Vashi as we went early to his store. So that’s saved for the next time. Geetu had bought me the dabeli masala but without the “pav” bread, the dabeli may not taste the same. We also did work between the bingeing … How ? Well, that’s the secret.